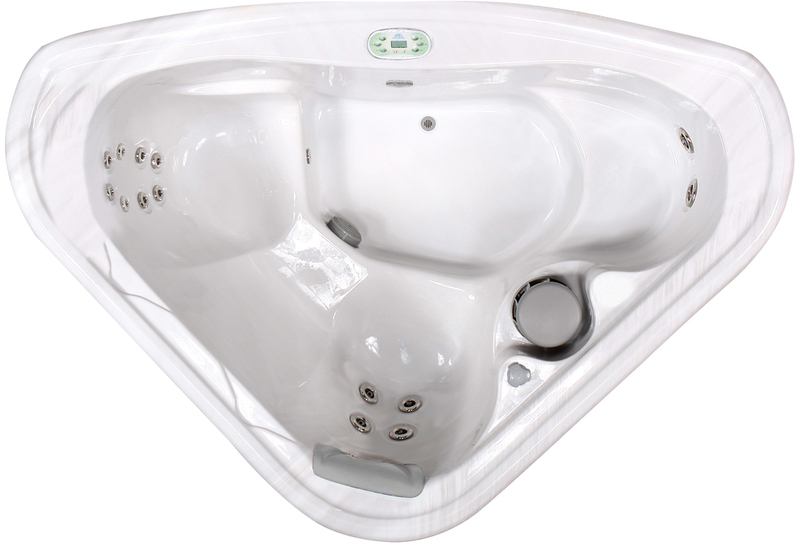 The 617 C is a unique corner hot tub with 3 hydrotherapy seats. There is a variety of jet types and sizes to provide a different massage in each seat. Although it is a small spa, it delivers powerful hydrotherapy and includes a warm air inducer allowing you to vary your massage even further.